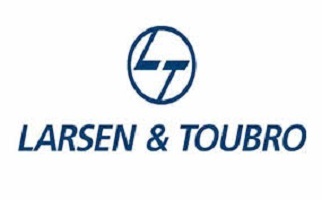 Larsen and Toubro is a major technology, engineering, construction, manufacturing and financial services conglomerate, with global operations. L&T addresses critical needs in key sectors – Hydrocarbon, Infrastructure, Power, Process Industries, and Defence – for customers in over 30 countries around the world. L&T is engaged in, core, high impact sectors of the economy and our integrated capabilities span the entire spectrum of ‘design to deliver’. With 8 decades of a strong, customer-focused approach and a continuous quest for world-class quality, we have unmatched expertise across Technology, Engineering, Construction, Infrastructure Projects and Manufacturing, and maintain a leadership in all our major lines of business. Every aspect of L&T’s businesses is characterised by professionalism and high standards of corporate governance. Sustainability is embedded into our long-term strategy for growth. The Board of Directors of the Company has approved a proposal to Buyback up to 6,10,16,949 Equity Shares (Six Crore only) of the Company is 4.29% of the total paid up equity share capital, at a maximum price of Rs. 1475 (Rupees One Thousand Five Hundred only) per Equity Share (hereinafter referred to as the "Buyback Price") for an aggregate amount of Rs. 9000 crore (Rupees Nine Thousand crore only). 1. Firstly, to be eligible for the buyback the investor should have shares of Larsen and Toubro Buyback offer 2018 in demat or physical form as on the record date [15.10.2018]. 2. Once you have shares in demat, you can participate in the buyback process which is opening from [Not Announced Yet] by selling your shares through your broker on NSE or BSE. 3. Then on [Not Announced Yet], the payment will be given to you for accepted shares and unaccepted shares will be returned to your demat account. L&T ka fir se buyback hone wala hai ya nahi. Any chances of buyback being approved? is any dividand declared by l&t ? For long term Investor- Please Buy L&T today. Yes it the Price came down quite some just 1 day before the news came out. Anyway L&T share price is expected to go down further? Better hold, don’t go for buying more unless price fall drastically. Remember, elections are round the corner too and market will remain choppy. Kya ab l&T ka buyback nahi hoga. Sebi has rejected L&T Buyback. So what could be the market movement on Monday? The stock could go back to the original levels like 1250 range since the buyback is not happening? Ready for at least 5% down. But it would be an opportunity for the long term investors to invest in the company. Many Brokerages houses have given a target of more than 1400. Instances like this and PCJ will permanently scare away investors from BB offers. Larsen & Toubro Ltd.’s Rs 9,000-crore share buyback, which the construction major’s board approved in August last year, awaits approval from the market regulator, according to two bankers in the know. The Securities and Exchange Board of India is evaluating the buyback tender offer, said the bankers on condition of anonymity. The regulator might respond with its observations on the tender offer document by early next week, said one of the bankers cited earlier. The company would have to answer SEBI’s queries before it conducts the buyback. The second banker cited earlier said it’s unlikely the buyback will begin in January. Shareholders approved the buyback via postal ballots on Oct. 3 and the company placed a draft letter of offer with the market regulator on Oct. 10, according to filings available on SEBI’s website. Thnx, Should I wait for buyback or sell my share at market rate, Is there any chances of cancellation of buyback ??? Recently Payment Done 400 Cr. NCD Maturity. They are using buy back money for their personal use. HOS ….Buy Back is cancelled ?? It seems the company forgot their Share Buyback. new year me buyback ke subh samachar milenge. ya sher current rates me bhech de. I think it is good price to sell the share. Those who bought L&T share for the purpose of Buyback can sell now and repurchase it around 1400 if it comes there. Those who sell on my recommendation can buy now. How many time between record date to Tender date? It is one-year maximum time in which buyback is to be completed from the date of the announcement. However, do not worry anytime soon we will get tender date. Buy back hogs ke nahi? The L&T is trading at 1432, those who bought between 1300-1350 will take the exit before the buyback as the price is nearing the buyback. So Accept close to 100% AR in L&T. Better is to leave LnT, it’s taking more than expected time for Buyback. I had shares of LnT = 85 and on record date worth was below 2Lkhs. After that record date I sold shares. Lets say I get mail of accepting 10 shares , Now once buy back starts , can I buy 10 shares and tender them? Probably Yes. I am saying Probably because I have not done that myself. However, logically you should, because as per the company’s record you are eligible for buyback as you were holding shares on the Record date. Yes, u can buy & tender them. Even you can buy & tender 85 shares (max), entitled shares (mentioned in mail) confirmly accepted & additional shares depends on total shares tendered by small shareholders. december month ke end tak buyback date aa jayegi ke 2019 me date aayegi. I have 65 Shares of L&T purchased at 1309, what would be approximate acceptance ratio for me? Buy back ki date kya hai? very long time for buyback date. Bhai aa jayegi do not worry. Jaise hi ayyegi aapko yahan sabse pehle pata chal jayega. Why is it taking so long for buyback? BUYBACK ME BAHUT TIME LIYA HAI. 45DAYS PLUS, ANY UPDATE ON L&T BUYBACK DATES? Any update on L&T Buyback? But the stock is a portfolio stock. I think dates will be announced very soon as it is already too much time. L&T seems to be awarding the Buyback investors. The price is almost 1432. If it stays in and around 1440-1450, the AR will be above 80%. HEG – Board approves a proposal to Buyback upto 13.63 lakh shares (3.41%) of the company for an aggregate amount not exceeding Rs. 750 Crores at a price of Rs. 5,500 per equity share. Is there any chances for buyback as it is more than 45days now? Lagta hai buyback ki zarrorat hi nhn padegi, the price is nearing buyback price. Haha Just Kiddin.. We can expect 100% AR if price remains closer to 1450. L&T inching towards 1400. This would improve the AR considerably. After price increase of lt I sold 120 shares . They have cash reserve of close to 1400 Cr. Let us see how much they will put up for buyback..
L&T is delaying too much in finalizing entitlement list. Now sure what they are up to. They have already reduced buyback price once. Even Mphasis is routed a lot too much delay in all dates is another reason. Can you please tell me when LnT buyback tender process is going to open ? Any idea ? The Weizman Buyback just concluded has given 80k profit for 2 lakh application. For more info follow the link. The real reason was very few people were aware about the stock. Retail investors have never heard of such name as there is never a discussion of such stock in media. Though we were new at that time ao coudnt capitalise it. But now we can say with 100% Cent that such opportunities will not go unnoticed. Today it went up to 1384 high and stayed for quite long above 1365. In my opinion, if your cost price is around 1300, better to start exiting above 1350+ for now as getting higher level is difficult in medium term due to elections due and so many negatives every where. Current market has already spoiled Buyback adventures. Better be safe with some profit than getting caught in longterm downturn. However, longterm holder can definitely hold. The opinion expressed above is purely for low risk investors. All brokerage houses raises L&T target. Very good for us as Acceptance Ratio will improve. I think it is very good stock to even carry after buyback as well. Very true. This is not a stock from buyback perspective because of heavy public (individual) shareholding. Acceptance ratio can never be high in L&T for small shareholders. Any idea what would be the rough acceptance ration for L&T. From the today’s price action it seems LT offer letter would be dispatch very soon. BHEL Approves Buyback up to 189.3 Million Shares and Rs. 86. 20% Premium to CMP. As per Sept 18 shareholding pattern, the number of investors having shares up to 2 Lacs of paid-up Capital is close to 15 CR. Bhai, wait karna sikho. It takes 3-4 weeks after record date for Buyback opening. If you have shares, you will get email. Please check the price of L&T on Record date and multiply with 156. If it is below 2 lakh you will be treated under Retail. The Motilal Oswal Report on L&T Buyback….. This calculation is shocking. I have invested Rs 2 L with average buy rate of 1250 in L&T. Does it mean that I am not retailer now with rate of 1500 ?? Admin, can you please clarify this ? Anyway, it will be known in a week time. An Eligible Shareholder, who holds Equity Shares of market value not more than ` 2,00,000 (Rupees Two lakh only) on the basis of closing price on the recognized stock exchange registering the highest trading volume, as on the Record Date i.e. August 18, 2018, as defined in Regulation 2(1)(la) of the Buyback Regulations. As defined in the Buyback Regulations, a “Small Shareholder” is an Eligible Shareholder who holds Equity Shares having market value, on the basis of closing price on BSE or NSE, on which the highest trading volume in respect of the Equity Shares on the Record Date was recorded, of not more than ` 2,00,000 (Rupees Two Lakh Only). As on the Record Date, the closing price on NSE, having the highest trading volume, was ` 2,012.75 per Equity Share. Accordingly all Eligible Shareholders holding not more than 99 Equity Shares as on the Record Date are classified as ‘Small Shareholders’ for the purpose of the Buyback. Hang on guys. Don’t be in haste. Whatever discussion which has happened here is correct. The Retail category is decided on the basis of price on Record Date. Pls dont worry. The price on record date is the material one and not the buyback price. I hold 20 shares of L&T bought by me in September 2018. How can I offer that for their buyback. You can participate in buyback through your broker. What will be the acceptance ratio for below 2 lakhs category.? Please check the Market Price of Share on 15.10.2018 and multiply 140*Price of Share and if it is less than 2lakh you will be treated under Retail else not. The price was around 1216 on 15th Oct, you should be counted under the Retail category. Prima Facie the Acceptance Ratio looks poor for Cochin Shipyard. A Retail investor can buy 440 Shares( 2lakh/455) to participate in the buyback. As per Mar 18, the number of investors having shares between 1-500 are close to ~73 Lakh. The No. of Shares reserved for Retail Investor in Cochin Buyback is close ~6.60 Lakh. We may expect buyback pricing to be near the IPO Price. Last year Govt has done disinvestment of Shares at Rs. 431. Nowadays Govt is trying to achieve disinvestment targets via Buybacks. So the price may be near to IPO Price. I think they consider only based on stocks held in your DMAT account on the closing day. Since, you had only 150 on 15th closing day and rest 20 will go to DMAT after T+2 i.e 17th Oct, I think your count should only be considered 150 for buyback. However, yours is interesting story and I would like to know what is the final result. L&T will start sending emails regarding entitlement within a week time hopefully. So, please let us know once you receive email as how many count they have considered ? Don’t worry you will be counted under the Retail category. The no. of Shares on Record Date will be used as a criterion for buyback. Is it right that they send entitlement notices within a week. I haven’t received the entitlement mail for Redington yet. Whether application to be submitted to L&T company? If so, where from the application can be downloaded? My broker told me to fill the application and submit to L&T through website. Please check your e-mail account. The Buyback forms are always sent to all eligible shareholders via email. Some of the brokers allow participating via their trading platforms itself and for others, investors can physically send their forms either to Registrar or Company directly. Other board members who have already participated in the buybacks can shed some more light into this. My broker is Sharekhan. I call my broker and tell them to put my Buyback request and they do it through their terminal. I never filled any physical form. This is also an option available. If I applied for buyback then only they send me mail? If I am not applied for it then?? How to apply for buyback by angel brocking application? Because there is no buyback option given in app (as like in zerodha). Do you have L&T shares in your account? If you have shares in your account on record date, then only you will get email before opening of buyback date. Email will mention your share count on record date and no of shares you are entitled to offer. In my a/c 150 share I m eligible for buyback offer? i have purchased 135 share yesterday.. and plan for sell today… then i am eligible for buyback…. if you sell what will you tender. don’t sell now participate in buyback tender your shares and keep remaining shares for some time. If you have purchased the shares today then shares will be in your demat on Monday(so eligible). How I know that I am eligible for buyback? To be eligible for buyback you should have company’s shares in your demat account on the Record date. Now depending upon the number of shares there are further two categories. The 2 lakh value is calculated as = No.of Shares* Price of Shares. This 2 lakh value is calculated on Record Date. P.S: As per SEBI, 15% of the total buyback is reserved for Retail Category. I have 140 share of larsen now ..i will sell 100 of 140 share on 16 octomber..so when the buyback process starts acceptence ratio will count on my 40 share or 140 shares?? If you sell after record date, acceptance ratio will count on 140 shares. Also does the profit attract the capital gains tax (sold in less than a year?) how much is the tax calculated at? Hi…I’ve about 270 shares of L&T purchased at average price of 917. Should I stay invested or participate in buyback. If I decide to go for buyback, I may not be eligible for Retail investor. How else can i participate. U can participate as non-retail investor. Though acceptance ratio could be 3-4 percent only. Only other alternative is that you sell 120 shares (or whatever makes u retailer) to decrease holding. Not recommended though.. In medium term, L&T is expected to touch 1700 (if market rebounds), so why to worry buyback. Pramodji’s answer has covered all your query, adding my 2 cents. You can split your holding into two demat account that way you can be eligible for retail category. So holding or participating won’t be a much of difference to you. Good price movement today in L&T. Hope market remains bullish till Record date so that AR gets improve and all the board members of this group earn handsomely. Yes, you are correct. 2,00,000/150= 1333. So if the price of shares remains less than 1333 on Record date you will be count under Retail Category. To be on safer side , track L&T share price and if required sell 5-10 shares to remain as retail investor ( Less than 2 Lac_ category). I’m a new investor to stock market.I started to do trading 1 week before.I saw about this buyback and i wanted to do this. 1 query for me is that how many shares will they buy if I have 40 shares.what is the number of shares to tender to get all the shares got selected in buyback. This calculation will be helpful for me to do buyback in other stocks too. My only request to all the board members here is whosoever is buying L&T please buy thinking in mind for the purpose of Investment only at this stage and on top of that if say 20% got accepted in buyback than it would be icing on the cake. Subject to Selling the rest stocks which was not accepted in Buyback selling at Cost price. How the category of retail investor is determined, is it the record date value of less than 2 lakh or actual buyback date. Please let me know. This query is already replied in one of the messages so no response required..Thx. It is on the basis of Record Date. U r always a hope for all kind of investers, whether starters,rookies or champions. Pls helpme in one query that for which I am little worry to book lose on L&T part. I baought L&T today @ 1260 # 200 shares keeping in intraday part in my mind , where in today share closed at <1230 should I hold it or just book lose and invest somewhere else. First of all, if that was an Intraday call you should have placed a STOP loss and exited once it hits. This is a common problem with many investors and in behavioral financing, we called it ” Loss Aversion Bias”. Nevertheless, I think in my point of view Friday was indeed a Black Friday of Indian Stock Market and all the stocks received hammering. In coming days NIfty should give bounce back from these levels as RBI Policy of not raising interest rates further will give a boost to Equity market and that would be a good opportunity for you to exit your position. Conclusion: Always be clear in your mind with regard to Trade. If it is Intraday, exit your position on the same day and if it is an investment then don’t look at the price on a daily basis. hello,i had bought LT at 1365 (12 share),should i invest more at current value? The situation is getting trickier now. As the market is falling like nine pins more and more people will vie for buyback which ultimately reduces the Acceptance Ratio. The ray of hope is if the market starts an upward journey than the shares which do not get tendered can be sell in the market at a higher price thereby gaining from the buyback. I think at CMP the L&T can be averaged but you have to think beyond buyback now. The current market buying should be like an Investor who is ready to give another 6-12 months to L&T, the number of shares tendered in buyback would be icing on the cake. I can not able to start Application, is there any problem in app??? Or please suggest me what should I do???? It is looking fine to all of us. thank you so much or sir can i add some more share in that for 135shares which can acceptable for 100% is that good for me to do or i dont do anything just i give it to buyback?? what is your suggestion sir?? I have 700 l&t shares. …so what qty.accept for buyback..
You will not be counted under Retail Category. You can tender your shares in the General Category. At this point of juncture, it is quite hard to predict the exact Acceptance Ratio. as i am a retail investor and wish to participate in L&T buyback offer. i wanted to know that weather Rs.200000/- is calculated as per the buyback price or the closing price on record date. because if the closing price on record date is less than the buyback price then we can buy more shares and can increase our profit…. It is calculated on the basis of Record date only. But as a safety measure, we always recommend buying at buyback price. but if it is calculated on the basis of record date then we can buy more quantity and can have more acceptance ratio ….. Yes, you can definitely buy more…. But need to understand one analogy….. If Share price moves closer to Buyback price the Acceptance Ratio increase and vice-versa. So the price of share falling is bad for the investors as more people will buy the shares for buyback and ultimately the A.R reduces. Good price movement in L&T today despite weak market. Can we buy LT future at 1260 and expect to sell near 1475 by 15th Oct ? I did something similar in TCS buyback and it worked. The market is in the serious grip of bears. The investors usually buy in buyback to gain something extra when opportunities in the market are short. The TCS case was more of when the market was booming like there is no tomorrow. However, the situation is completely changed now. The Market has tons of opportunities to buy from where more gain is possible in near term if the market changes its direction. So will this strategy will work again looks hard. The Buyback Committee at its Meeting held today has also fixed the specific price of Buyback of Equity Shares at Rs. 1475 (Rupess One Thousand Four Hundred and Seventy Five only). Accordingly, the Company will Buyback upto 6,10,16,949 equity shares at a price of Rs.1475/- per Equity Share, aggregating to a total consideration not exceeding Rs. 9000 crore. Pursuant to Regulation 42 of the SEBI (Listing Obligations and Disclosure Requirements) Regulations, 2015 and Regulation 9(i) of the SEBI (Buyback of Securities)Regulations 2018 (“Buyback Regulations”), we would like to inform you that the Company has fixed Monday, October 15, 2018 as the Record Date for the purpose of determining the entitlement and the names of the equity shareholders who shall be eligible to participate in the buyback offer of the Company. Kindly excuse if i missed something obvious as i am new to the market and trying to learn from experts like you. Guys, we have to very careful with the L&T buyback. The price has gone down considerably in the last 30 days which will entice many people to buy from the point of view of buyback resulting in low Acceptance Ratio. The market condition is very poor. The prices of all the good stocks are taking a beating in the market and L&T won’t be an exception. So accordingly plan your startegy. 1. Actually saying anything at this stage is quite difficult because of the market condition. But better to exit if it comes close to your price as the market is full of opportunities because of the meltdown of NIFTY. 2. Don’t buy Mphasis anymore now. There is a rumor in the market that results won’t be good for the company. The results are scheduled on 17.10.2018, so just wait for the results before making any position. However, the rumor may or may not be true but the way the share price is falling something is not good in the share which we don’t know but the market is. 3. Redington, you can sell near your average buying price. Judging anything at this stage is quite difficult due to market condition. IF dollar and Oil cool down then we can see sharp recovery in the market and all the dynamics will change suddenly. The only thing I can say is a lot of better opportunity are available in the market to invest than a buyback. Please if you can remain invested in L&T then there is no harm as well as many brokerage houses are bullish in this counter. we would like to inform you that the Company has fixed Monday, October 15, 2018 as the Record Date for the purpose of determining the entitlement and the names of the equity shareholders who shall be eligible to participate in the buyback offer of the Company. of Rs. *1475/-* per Equity Share, aggregating to a total consideration not exceeding Rs. 9000 Crore. 1. The Number of Shares has been increased from 6,00,00,000 Shares to 6,10,16,949 Shares. 3. The Price of Buyback has been reduced accordingly from Rs.1500 to Rs.1475. L&T record date for buy back 15 oct and price 1475. There is a rumour in the market that L&T may cancel buyback offer and that’s why is it going down so much?? Is it possible for a company to cancel buyback once announced publicly?? Mr. Jay, the entire market is down due to the crisis of ILFS, rising crude, rising dollar, in short, the Indian Economy is going through tough times. The Market is expecting another rate hike coming week which will put a break to growth and hence negative for the market. Coming back to your question it is very highly unlikely that L&T will cancel a buyback being such a reputed company. The stock price fall is imminent in the market as all the shares of the big and small companies are down. In my point of view, everyone should take this fall in the market to accumulate their favorite stocks as such opportunities are rare in the market. However, the buying should be staggered because the market will hardly move from here on until election next year. In between, we may see ups and downs in the market. So the next 6 month is very crucial for the market. Thanks a lot. It is helpful. Buyback has to be approved by Special Resolution. If the number of votes in favor are more than 3 times the votes in disagreement the resolution will go through. The voting results should be available by end of the day on 3rd Oct 2018. So Wait for result of the Postal Ballot. Sir Buy or not ?? 1270 leval. Plz suggest me. Record date any idea ? Buy in a staggered way. The market condition is not good. So buy on dips should be the strategy. But i think td power system is not through tender route and only through open market. I have 501 shares of L&T, how many shares I can offer as the value comes to more than 2lacs I will not fall under retail. Kindly guide me. 1. Firstly, you will not be counted under the ” Retail category” with 501 shares in your kitty unless the price of a share fell to Rs. 400 which is highly unlikely. However, you can offer your shares in the ” General category”. 2 . Please tell me at what price you have bought these shares so that strategy can be made. 200 bought in 2013 @ Rs.700then received 100 as bonus, 34 bought in 2017 @ Rs.1752 totaling to 334 then received bonus 167 thus became 501. You will be eligible to tender your shares in “General category” only or you have to reduce your holding to be eligible for retail. However, if you dont need money then there is no harm what so ever in holding L&T. Incoming 6-12 months you may find the price to be in the range of Rs.1800-2000. THANK YOU FOR THE GUIDENCE SIR. Any information on L&T Buyback? Thats means record date would be at the end of september month. Just dial- No postal ballout notice yet….So Record date atleast 30 days away.Same with mphasis and L and T.
I have 470 shares of L&T as a result ESOP, Market purchases and a bonus issue. Please let me know whether I should opt for buyback or not? Frankly speaking I do not want to subscribe, but I am no expert either. My idea is to keep these shares as a reserve for something unexpected later. If you are a long-term investor then there is need to tender your shares in the buyback. The L&T is a portfolio stock. As per different brokerage houses report the share will easily reach 2000 level in coming 6 months time. So I think you keep shares in your portfolio. I think experts are missing a major point!! Retailers are not holding 26.57Cr, it is by the people who have less than 200000 at capital price i.e. people having less than 1L shares if the share face value is Rs 2/-. So it includes lot of HNI and people like Jhunjhunwala, who have bought in personal capacity. Retail is considered as the people who have less than 200000 market value on record date. Assuming, if closing value on record date is 1385, any one having more than 144 shares would not be considered as retail. Also, retailers with such small size are not much active and therefore, in retail I assume an acceptance of minimum 30-40%. You are correct Sumit ji!! I think to be on the safer side if we assume the price of Rs. 1500 on the Record date, then anyone having shares above 133 would not ideally be retail investors. Now as we don’t have a record of people having shares less than 133 to exactly calculate acceptance ratio, the only way to calculate is to go through Annual Report and see a shareholding pattern, in Annual Report they have mentioned that up to March 2018, the record of people having shares between 0-500 are 8,43,110 having 8,16,30,062 Shares. So if we assume till Record date, more people will buy shares to participate and be assuming 5 cr shares are held up by retailers as on record date and again assuming 50% will participate, the acceptance ratio should be around 30-40%. I do not think sumitji is right. However, the math for 26 crore shares held by retail category also does.not work out correctly. Sum of shares of (XYZ, ABC, X, Y T, etc) is 26 Cr. Now in the above example, T is the only Retail Investor as it is holding shares less than 130. ICICI is probably talking about the general or non-retail for 11%. Seeing the size it have to be minimum 50%, also there has been no Euphoria, which is good!! Agreed dineshji. Well written. The only rider i will add is that the company is a good one and even at 1350 is below its 5yr avg PE. Also it is a good stock to own even if buyback is 15-20% in retail( my estimate). There are abt 25 crore shares held by retail category shareholders and only 90 lac shares in retail will be bought back. I assume many of them are really long term investors and do not expect more than 30% to participate in the buyback.